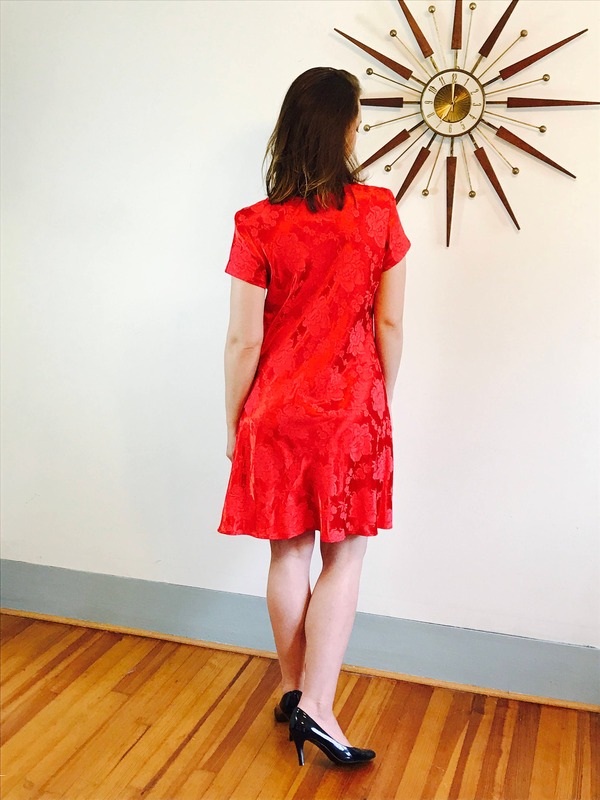 I love this totally 90s bright red dress! 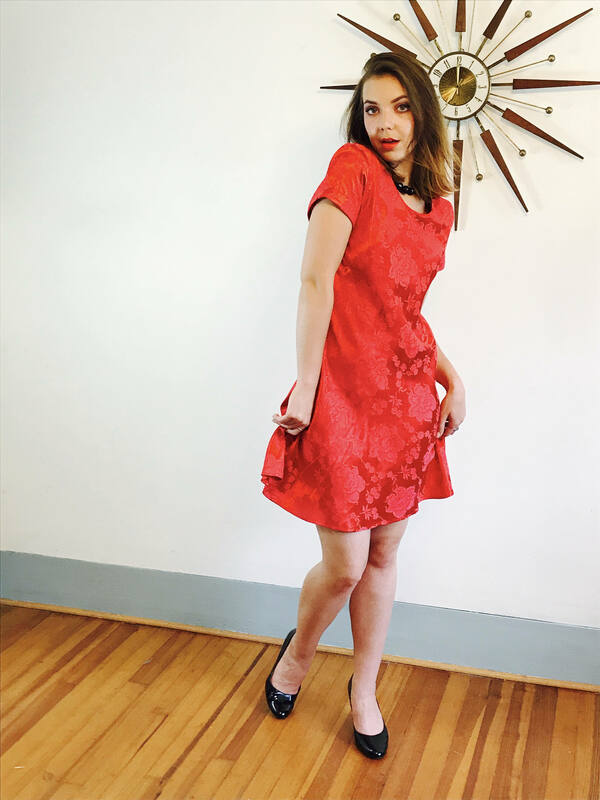 This short sleeve, boatneck dress has a beautiful Damask rose pattern on solid red! 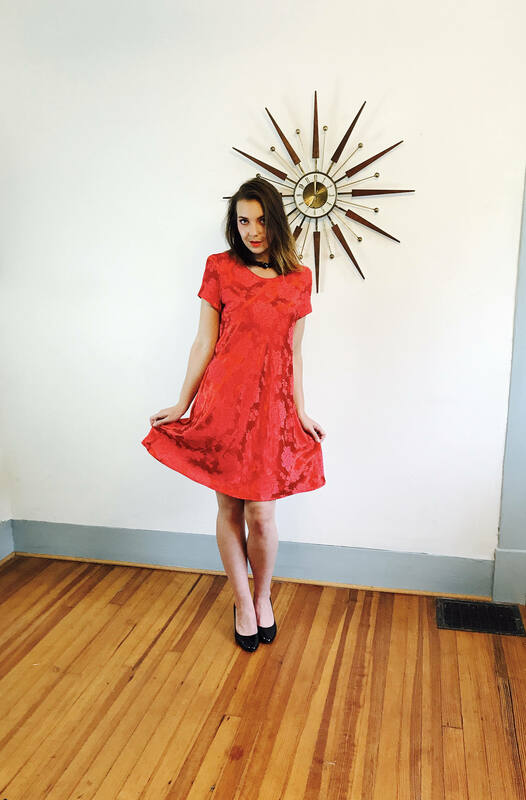 This party dress is flirty with flutter sleeves and is from the late 1980s, early 1990s! 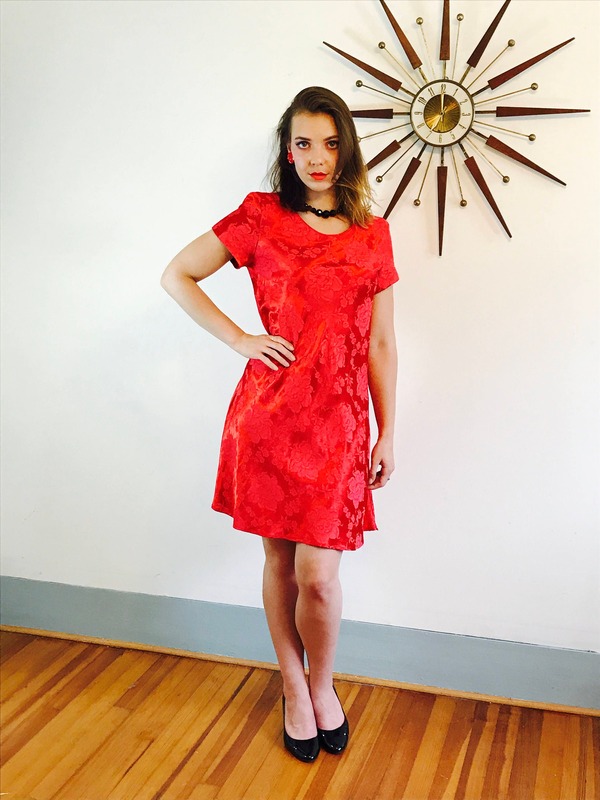 This sassy red dress falls above the knee, and can be worn loose like on my model, or more fitted. 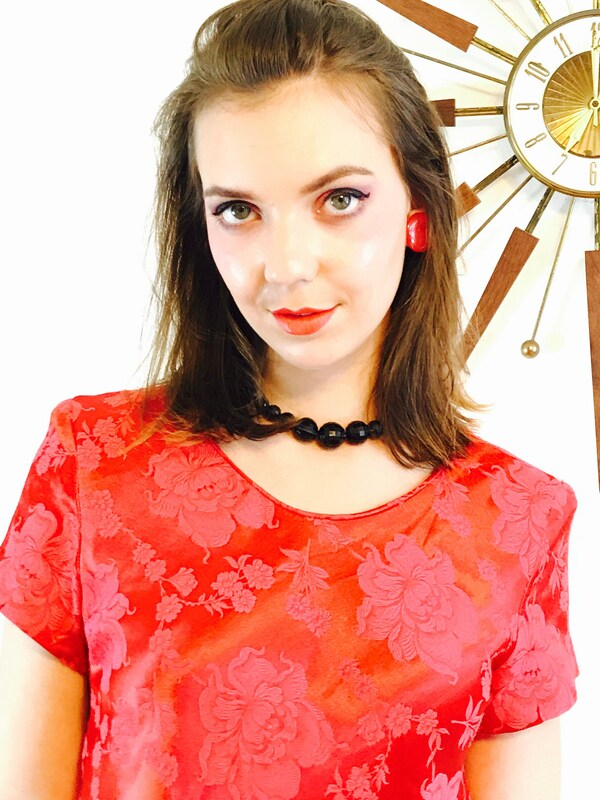 Lovely Lady in Red dress! Perfect for Valentines Day or a Bachelorette party! Model's measurements: bust:34", waist:28", hips:42", height:5'9"
CONDITION: Very Good! Some fuzzy pilling on the fabric. Contact me with any questions! Thank you!